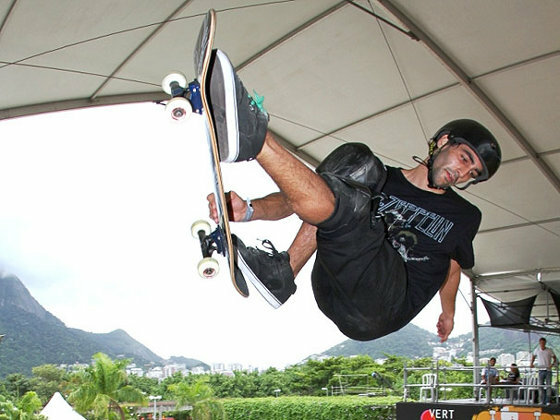 I Skate, Therefore I Am: Oi Vert Jam 2011 in Rio! Oi Vert Jam 2011 in Rio! 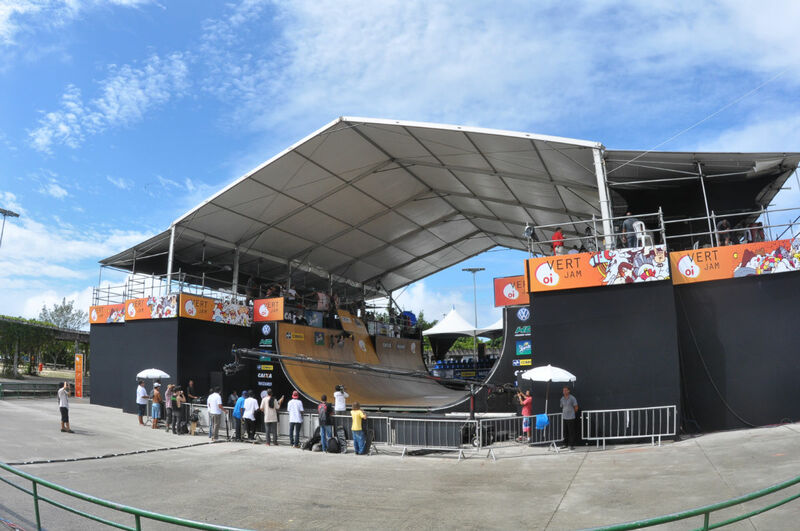 The best Vert skaters in the world have assembled on the city of Rio de Janeiro, Brazil for the annual Oi Vert Jam 2011 this weekend. Congratulations to the American Alex Perelson, who was participating to the Oi Vert Jam 2011 for the second time. Same thing for Sam Beckett and Zach Miller, who guaranteed a spot in the semifinals. Alex finished the first qualifying round, Sam and Zach in the fifth to eighth. . "It's the second time I participate in the competition and I'm happy to get a good grade for the next phase," said Perelson. Veteran Lincoln Ueda was one of the Brazilian who stood out in the middle of kids, and he secured the second place spot in the semifinal. The race tomorrow promises to be even more difficult and require more of the skaters. Lincoln Ueda was also surprised at his position in qualifying. "I thought Danny Mayer and Jean Postec were very good and would come in front of me. ﻿﻿Tomorrow I will change the whole game and will have to dare in the more difficult tricks, since the level will increase significantly," said the Brazilian. After three batteries, 10 skaters advanced to the next stage. They join 10 other names that were pre-sorted. Saturday, entering the ramp mounted on the Skate Park at Lagoa Rodrigo de Freitas in Rio, some of the favorites. The list includes Bob Burnquist, Sandro Dias, PedroBarros and Dan Cezar. Foreigners who are part of the group are Andy Macdonald, Danny Mayer, Paul Luc Ronchetti, Anthony Furlong and Renton Millar. For the final on Sunday, is already pre-ranked Marcelo Bastos, winner of the Oi Vert Jam last year's world champion and 2010. In proof of the HD for best trick in the canyon, Dan Cezar, current Brazilian champion, took first place. The Top 7 from today's Semi will advance to meet last years winner Marcelo Bastos for an action packed 8 man final. Check the WCS Facebook page for finals updates as they happen on Sunday.